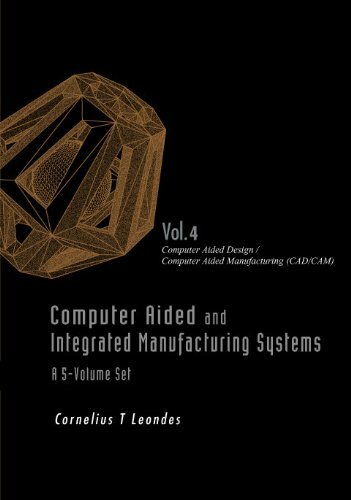 This is an invaluable five-volume reference on the very broad and highly significant subject of computer aided and integrated manufacturing systems. It is a set of distinctly titled and well-harmonized volumes by leading experts on the international scene.The techniques and technologies used in computer aided and integrated manufacturing systems have produced, and will no doubt continue to produce, major annual improvements in productivity, which is defined as the goods and services produced from each hour of work. This publication deals particularly with more effective utilization of labor and capital, especially information technology systems. Together the five volumes treat comprehensively the major techniques and technologies that are involved. Graduate students, academics, researchers, and industrialists in computer engineering, industrial engineering, mechanical engineering, systems engineering, artificial intelligence and operations management.